Army Ranger Lead The Way Fund is excited to announce that we are expanding our racing efforts to the West Coast and, that for the first time ever, we have secured charity slots at the San Francisco Marathon on July, 27, 2014. Please note that all runners are required to meet the minimum Army Ranger Lead The Way Fund fundraising requirement of $1500 and cover race entry fees of $240. All members of Team Army Ranger will receive Lead The Way Fund racing gear including performance training shirts, hats, visors, gear bag and more. To join Team Army Ranger or for more information about this great running event please email racing@leadthewayfund.org with interest. 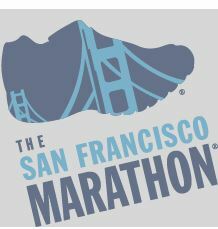 The San Francisco Marathon is a loop course, taking runners on a journey around the city, hitting gorgeous locales and iconic landmarks all along the way. Starting at the world famous Ferry Building, racers head along the Embarcadero, with the beautiful San Francisco bay on their right. From there they pass through Fisherman’s Wharf and through the Marina. Next runners head up and back across the Golden Gate Bridge and down through the Presidio, along the Pacific Ocean. A tour of the beautiful Golden Gate Park follows, and after some turns and curves through the trees and around the lakes, runners empty out onto the historic and very colorful Haight street. The course takes some loops through the Mission, Potrero, and Mission Bay Districts, heads by numerous charming little parks, then heads up towards AT&T Park, home of the San Francisco Giants. And then it’s just a home stretch, under the fancy new Bay Bridge and back up to the Ferry Building.